(Kuta-Bali, 25 April 2014) - Changing the reputation that a picturesque Bali honeymoon is only for the rich and famous, NEO Kuta – Jelantik has introduced an affordable romantic getaway package for young honeymooning couples on a budget. Bali is one of the world's most acclaimed tourist destinations, and with its exotic charm, natural beauty and cultural uniqueness, many couples dream of spending their honeymoon on the Island of the Gods. However, some couples believe they cannot afford such an extravagant getaway, but at NEO Kuta – Jelantik, the new “HONEYMOON” package is dedicated to offering newlyweds a honeymoon that is both affordable and luxurious. The HONEYMOON package includes a 2 night stay in a Select Room category together with airport pick up or drop off, a honeymoon cake upon check-in and a flower petal display on the bed. Couples can also enjoy a number of romantic activities such as a 1-hour Balinese massage, a romantic dinner, a daily buffet breakfast at Noodles Now Café as well as 2 days motorcycle rental to explore the island. 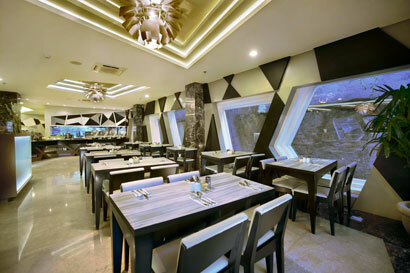 NEO Kuta – Jelantik is a designated non-smoking superior select service hotel. It is located around the corner from the buzzing Jalan Legian and within easy walking distance to the center of Kuta, famous for its vibrant atmosphere and endless entertainment options for young couples. “Archipelago International understands that not everyone can afford the ultra-luxurious private pool villas for their honeymoon, so we are pleased to offer the option of our HONEYMOON package at NEO Kuta – Jelantik. This Bali NEO hotel offers a full set of luxurious amenities and up-market facilities for every guest and every honeymooning couple, yet it is available at a very affordable price.” Says Norbert Vas, VP Sales & Marketing Archipelago International. 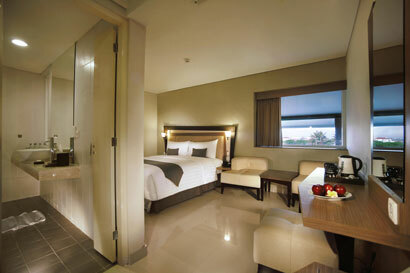 NEO Kuta - Jelantik’s HONEYMOON package starts from Rp. 1.438.000 per couple. For more information or to make a reservation, simply contact 62-361 759 510 by phone, or email KutaJelantikInfo@NeoHotels.com. The new NEO concept aims to open doors to a world of well-being and sensual satisfaction. Designed in a stylish and contemporary style befitting the latest trends in hotel design, NEO Hotels offer uncluttered open spaces for an atmosphere of relaxation and tranquility within these chic yet reasonably priced new-build hotels and resorts. Archipelago International is one of Indonesia’s leading hotel operators with an underlying portfolio of more than 75 hotels and 12.000 rooms and a development pipeline exceeding 90 properties in Indonesia, the Philippines and Malaysia.